Pink carnations symbolize "I'll never forget you." Star of Bethlehem flowers symbolize "Hope in Life." I still haven't varnished the painting I finished months ago. I need to varnish it and have it framed for our kitchen! Frank Delaney is the best writer in the English language. 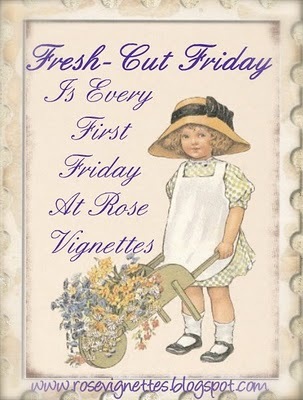 Join Liz @ Rose Vignettes for Fresh Cut Friday! You created such a beautiful little vignette there. 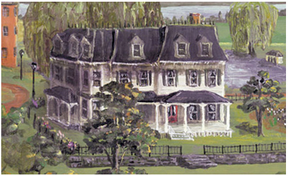 You are so talented ... love your painting! Came back to tell you I haven't ready any Frank Delaney. I'll have to make a note of that. Hi Ricki Jill! Happy New Year! What a great idea for inspiration. I will have to remember that! I imagine your painting will look lovely in your kitchen. You will have to show us! I hope the creative juices flow for you very soon. I have had so much fun making things this holiday season. How beautiful! And I bought a Julia Child cookbook today..volume 1. I need volume 2 like the one in your photo. I didn't even realize there were 2 volumes until I googled it! Sweet hugs! I LOVE YOUR Painting!!!! That is so pretty! Thank you for sharing your post on Fresh-Cut Friday. I love the pink Carnations to. I hope you are having a Happy New Year! Ok, I love that little setting, but just for you sweet lady I am going to admit that I spent a few minutes looking for the FROG...then it hit me what kind of frog you meant! Exquisite as is the still life you painted. I admire your talent! Love the mix of carnations with the Star of Bethlehem. It's a beautiful contrast. I bought a Star of Bethlehem potted plant this Christmas that I'm going to plant in the ground and see what it does. 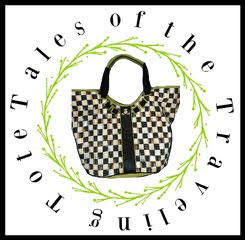 Thanks for sharing this beautiful vignette. Hope you will paint it! Beautiful way to start my day. Happy Friday to you Ricki! Oh wow I love your painting Ricki!!! That is one great place to paint. They are my absolute favorite flower. I always have them in the house. Your painting is GORGEOUS! it will go lovely in a white kitchen! Lovely and AH look at that painting! wonderful!